The mods are automatically used when active on the server. 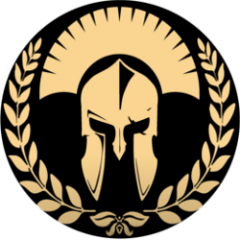 Mods are applied in the following order: Both "Project Opfor" and "3CB Factions" Project Opfor 3CB Factions Community Factions Project CUP If your server has both RHS/Project Opfor and CUP enabled then Wolfpack will use Project Opfor. At the moment mods cannot be manually selected/de-selected. If you want to change things around then edit "init_redress.sqf" in the scripts folder. Updated to version 1.70. See OP for more information and download links. Additional (optional) supported mods As off version 1.70, the following optional mods are used by Wolfpack: Project Opfor / 3CB Factions / CUP / Community Factions Project. Some of these mods require other mods to function properly. The mods are used for visual aspects of Blufor and Opfor units – e.g. uniforms, vests, head gear, backpacks, etc. Weapons and vehicles are BIS Vanilla. It is recommended to disable all AI enhancement functionality (Vcom AI, ASR AI, bCombat, etc) on both the server and the clients. Changelog version 1.70: Added: Mod compatibility (RHS/Project Opfor/3CB Factions/CUP/CFP) for wolf & opfor. See readme. Added: Ambient animals Fixed/removed: Legacy code. Fixed: Player can no longer swap places with AI vehicle crew during exfil. Updated: Spawn on demand. Now via framework function. Updated: Dynamic civilians uses mods if available (RHS/PO/Factions/CUP/CFP) Updated: Helicopter infil day 2, 6, 8 Updated: Wolfpack_Vol_1&2.pdf ReadMe document. Updated: Applied ADF 2.14 framework. Updated to version 1.08. See OP for download information. Version 1.08 Fixed: Convoy’s. Attempt number 612 to fix AI convoys. Fixed: Para’s. AI para’s perform as ordered. Fixed: Mission ending day 3 & 4. Fixed: MOTS progress speed in day 4, 7 & 8. Fixed: Spelling in briefings/high command. Fixed/removed: last slithers of legacy code. Updated: Moved all mission logic to server init. HC only managed AI spawns. Updated: Further refining of mission balancer values. Updated: Most mission objects for increased performance. Updated: Applied ADF 2.13 framework. The campaign zipfile contains a '2sierra_readme.pdf' document with mission information, client/server information, training information, etc., media files and briefing files. Prevent AI from running in place? Alright, so when you publish using Eden the mission works at your client but not at Tb's. Surely you both have tried a minimum/no-mods setup and TB has verified its ARMA3 installation using the Steam verify function. Folder name, when using normal alphanum chars would not cause issues. A PBO published by Haz and works at Haz and does not work at TB sounds to me either a mod issue or an Arma3 core/corrupt file issue at Tb. Had a similar issue a while back. Solved it by starting in the editor with a new mission and merge in the bugged mission. There is a regular brief. Actually it is in the style of a real-life NRF briefing. You have an brief ingin-game and a briefing documents in the archive you'll find a briefing in PDF and TXT format. Also you'll find maps of the AO, objectives, etc. The campaign zipfile download links can be found in the first post of this thread. Note that this mission cannot be playing as single player. They are intended for at least 12 players. The only reason I can think of why a server would crash is if there is a mismatch in mods on the server/clients. To test this, load the mission with just the required mods (CBA A3, CUP Terrains Core, CUP Terrains Maps). @LSValmont I suspect your issue lies elsewhere. You basically proved it is not zbe_cache as the error also occurs on units that are not cached by zbe (zbe_cacheDisabled). Perhaps you are running both zbe_cache and the BIS Vanilla option (dynamic simulation). If that is the case you need to switch off either BIS dynamic simulation or zbe_cache. @kromka thanks for the extensive feedback. Really appreciate it. All patrols, garrisoned units etc are randomized. So one time you run into a patrol the next time you don't. I admit that from the vol 2 missions are very challenging for small groups even with the mission balancer set to auto or low. Day 7 takes a lot of patience (and skill) to complete. Day 9, like some other missions has multiple objectives. The depot objective is indeed an observe/gather intel objective. The objective orders are communicated at mission start. Note that you can read back all hq communications in the wolfpack log (map screen). Is it quite normal with special operations missions that mission objectives are communicated whilst en-route or they change on site. Sometimes they depend on a local contact or gathered intel. @jgaz-uk I am not sure what you mean. The campaign is a mission pack of 12 COOP missions and 3 warmup missions. They are to be played as a normal coop mission on a dedicated server. Just copy the PBO files to you MPMIissions folder of your dedicated server and it should work fine. Afaik a mission cannot crash Arma. Updated to version 1.69. See OP for more information and download links Changelog version 1.69: Added: improved support for local hosted sessions. Fixed/removed: Legacy code. Fixed: briefing day's 6, 7, 8. Updated: mission balancer to support 1-2 players. Updated: mission exfil changed to actual heli/boat departures. Updated: fire missions day 2, 3. Updated: Language, typos. Updated: Briefings (JIP info). Updated: Applied ADF 2.10 framework.